From community beautification, to leadership development. The Adopt-A-Street program encourages local churches, businesses, organizations, and groups to “adopt” city streets to clean and beautify throughout the year – similar to the popular “Adopt a Highway” program ran by the Department of Transportation. This initiative was started in April 2015, and is supported by Kinston Public Services. The Kinston Teens Vision Garden is a community beautification project kicked off in April 2016. We've transformed a vacant lot in one of Kinston's most impoverished and blighted neighborhoods into a greenspace garden and communal space. It is our goal for this garden to be bright, beautiful and prosperous – similar to the vision that we have for our community’s future. Located at 601 Chestnut Street, Kinston, NC 28501. The Adopt-A-Vacant Lot Program allows churches, families, businesses and other groups to adopt city-owned vacant lots and transform them into beautiful community amenities. These underutilized spaces present tremendous potential for neighborhood improvement, and we’d love for you to take advantage of them! Through our Youth ELE (Employment, Life Skills and Entrepreneurship) Program, Kinston Teens seeks to provide employment, professional development, life skills training and entrepreneurship opportunities for our community’s young people to increase their employability, develop vocational skillsets, and create safe and sustainable entrepreneurship opportunities for themselves. 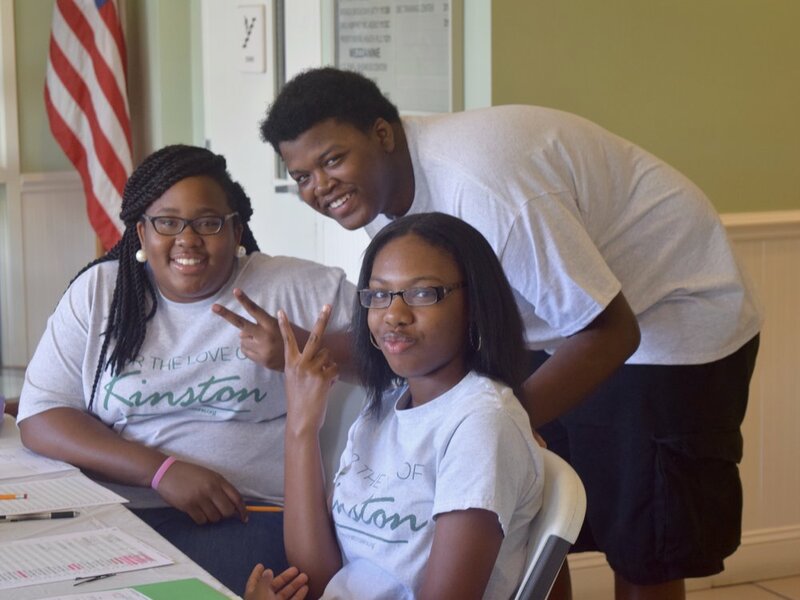 Founded in the summer of 2016 by (then) 14-year old Kinston Teens member Jordan Cherry, the Kinston Community Youth Choir (KCYC) is a youth-led band and choral ensemble focused on engaging and empowering young people through the art of music. The Kinston Community Youth Choir provides instrumental and vocal musical lessons for youth, and performs at community events such as the Lenoir County Agricultural Fair.